There's nothing like waking up to fresh-brewed coffee, sizzling bacon and some scrambled eggs to complete the perfect breakfast. But plating the eggs and realizing they're watery is such a disappointment. There could be several factors at play here, and one of the main causes is cooking them at a high temperature. When water separates from eggs while cooking, this is called weeping. 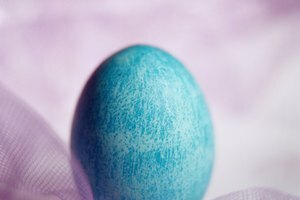 If this happens, the eggs are probably cooking too quickly over temperatures that are too high, and they become overcooked. To avoid weeping, eggs should be prepared in small batches. Remove the scrambled eggs from the pan as soon as they're firm and can hold their own shape so they don't overcook. Some people like to mix vegetables like mushrooms, tomatoes and zucchini into scrambled eggs. Because these veggies are watery, they need to be handled properly so that too much water doesn't seep out during cooking. Wash, pat dry and chop vegetables to your desired size. Then, sauté them with a small amount of cooking oil or butter for several minutes before adding the eggs. Add the eggs when the butter begins to bubble or a drop of water in the heated oil dances gently. Some people like to add milk to eggs before whisking to give them a softer texture. A good rule of thumb is to only add 1 to 2 tablespoons of milk for every egg. 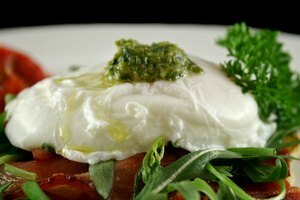 Any more than that prolongs the cooking time, which increases the chances of ending up with a soggy mess of overcooked eggs. 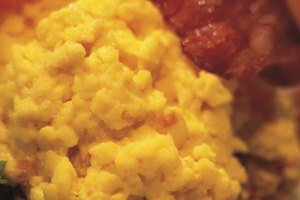 Low to medium heat is best for scrambled eggs. 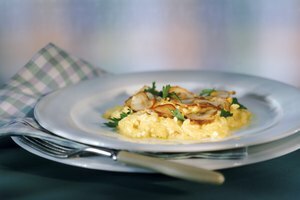 If you like wet eggs, keep the temperature more toward low; if you like dry eggs, cook more toward medium. Stir the eggs gently, and as soon as they're firm to the touch of the spatula, remove them from the heat. Even if you turn the burner off, it still may remain hot, so move the pan to another burner or to a heat-safe surface.